At ten o'clock in the evening of August 3, 1962, the final blast was ignited from the Italian side of the Mont Blanc Tunnel. 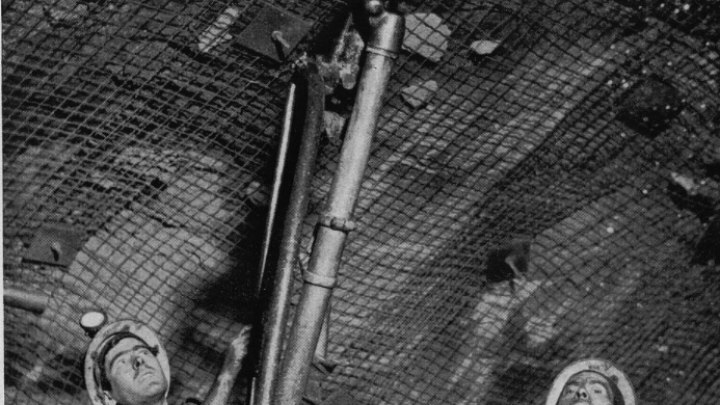 The Italian workers had reached the middle of what was then the world's longest highway tunnel. Their French colleagues would reach this point a few days later. 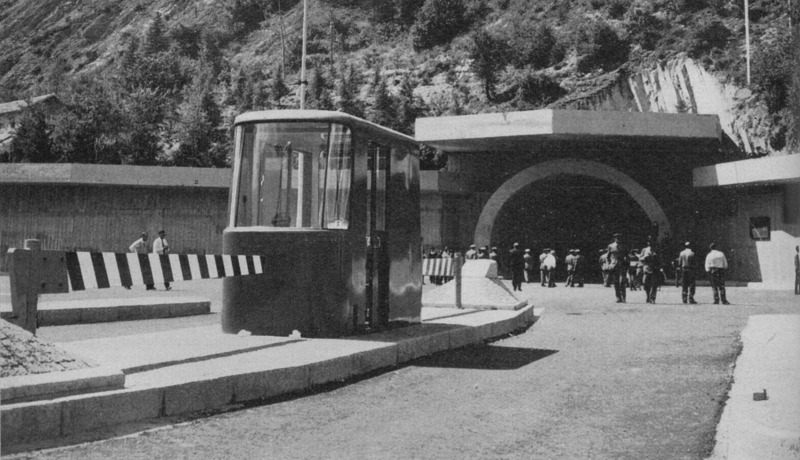 The ”Swedish Method” was used for boring the Mont Blanc Tunnel from the Italian side. 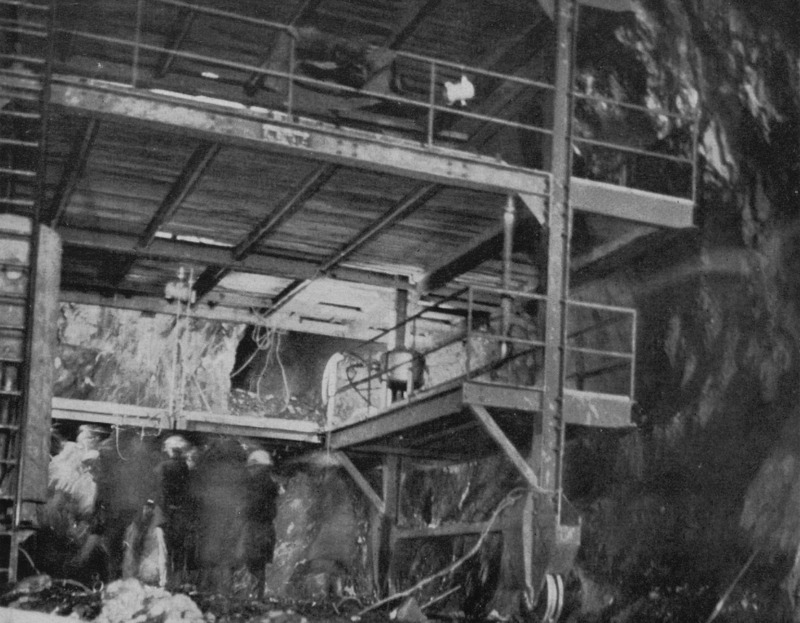 The final blast on August 3, blew away 220 cubic meters of rock from 112 holes. 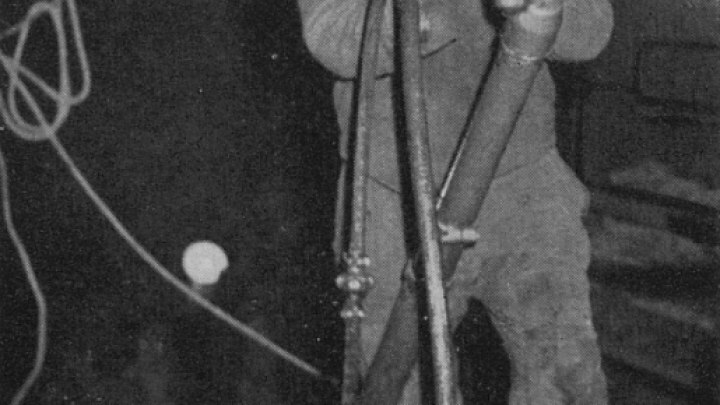 This historic moment was celebrated with two cannon shots fired outside the tunnel as the drilling team left the mountain. The Italian workers had bored 5,800 meters into the mountain, 2,000 meters under the crest of the 4,800-meter-high mountain. 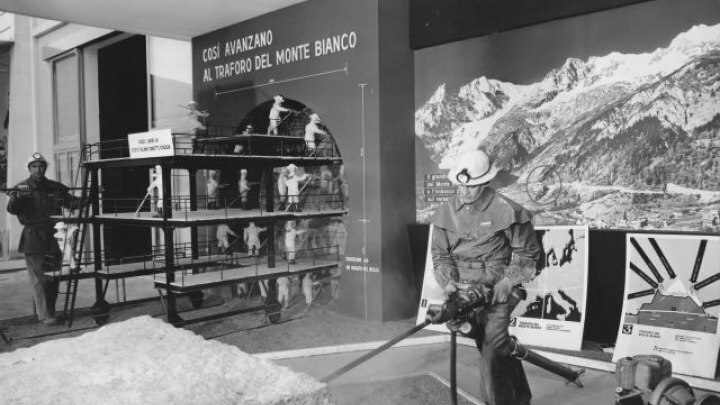 Work on the Mont Blanc Tunnel had begun three years and seven months previously, but it was in August of 1958 that the contract between Atlas Copco and the Italian contractor Società Italiana per Condotte d’Acqua was signed. On the Italian side, work was conducted with Atlas Copco's rock drills with pusher legs of the Lion type with Sandvik Coromant's rock drill bits per the Swedish Method. A technology with the cornerstones being lightweight rock drills, air-feed legs and drill bits with carbide tips. A Swedish drill master was always on site. One of those who followed construction at close range was engineer Gösta Fogelström, head of the project department at Atlas Copco. Work from the French side however, utilized heavier American equipment. But there the conditions were entirely different - the rock was almost entirely of granite. 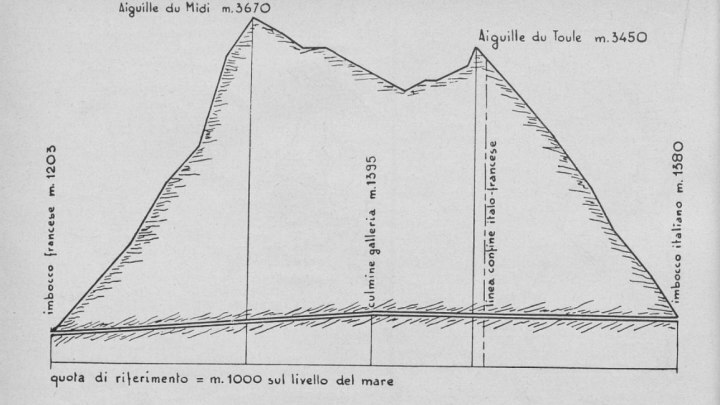 On the Italian side, the geological structure was much more unpredictable. The rock alternated between granite and other types of rock that could be visibly porous. Adaptability to the conditions was therefore a necessity. This was possible with the lightweight and easily moved Swedish machines of about 30 kilos. 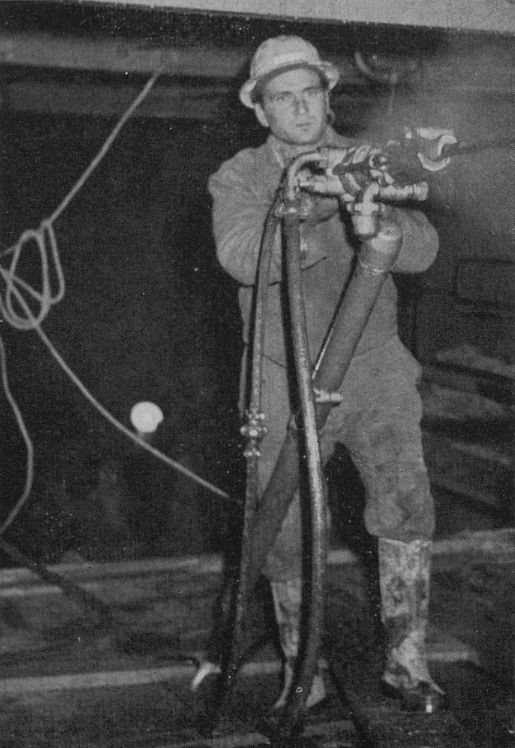 When drilling began on the Italian side in January of 1959, the drilling teams first encountered slate at the mouth in Entrèves. After 370 meters, the workers had to stop due to the flow of water. 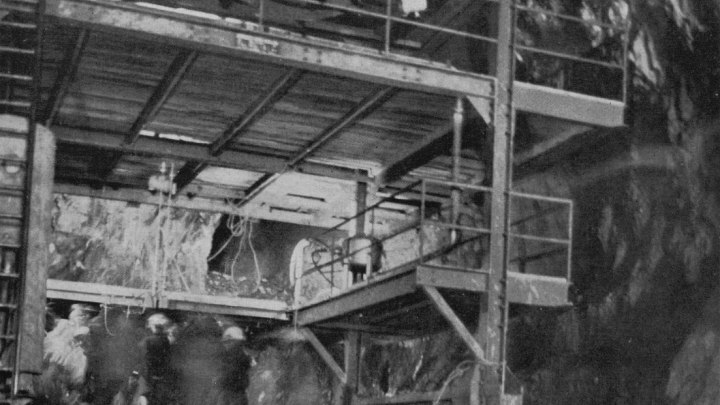 In April of the same year, a major slide occurred that destroyed the drilling platform. The rock was mingled with limestone and clay, and further on with slate-like mylonite, which is so soft that it can be crushed between the fingers. It was only in January of 1960 that the Italians again reached solid rock. But the difficulties remained. It was not just the types of rock that created problems while work was underway; slides and enormous amounts of water from subterranean rivers continuously stopped or complicated progress. 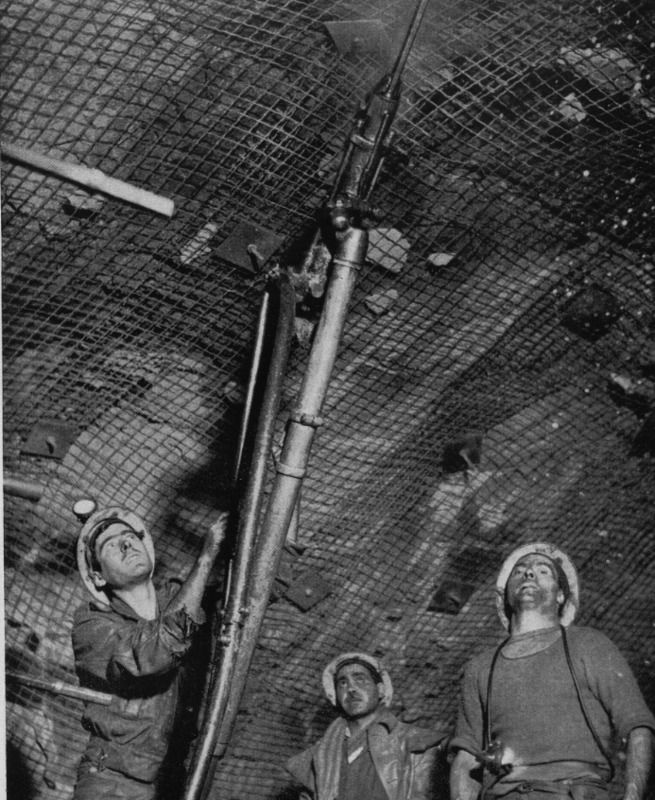 At times the workers only dared to advance with a narrow top-heading (the top heading is the upper part of a tunnel or cavern that is first blasted), sometimes with reduced space depending on the rock's character. The average rate of work was about four blasts per day. 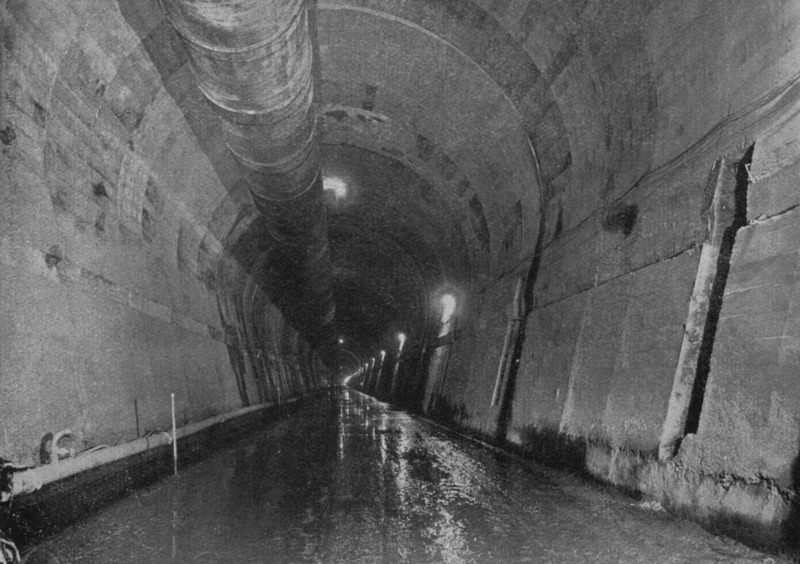 At the beginning of December in 1961, water masses streamed into the tunnel and threatened to flood everything. The water poured in at 1,200 liters per second, but after heroic efforts, the inflow was stopped. Rocks dislodged and threatened to crush both workers and machines. Moreover, on the night of April 6, 1962, a severe avalanche occurred in the vicinity of the tunnel opening. Three workers were killed and more than 30 injured. The material damages were also substantial. 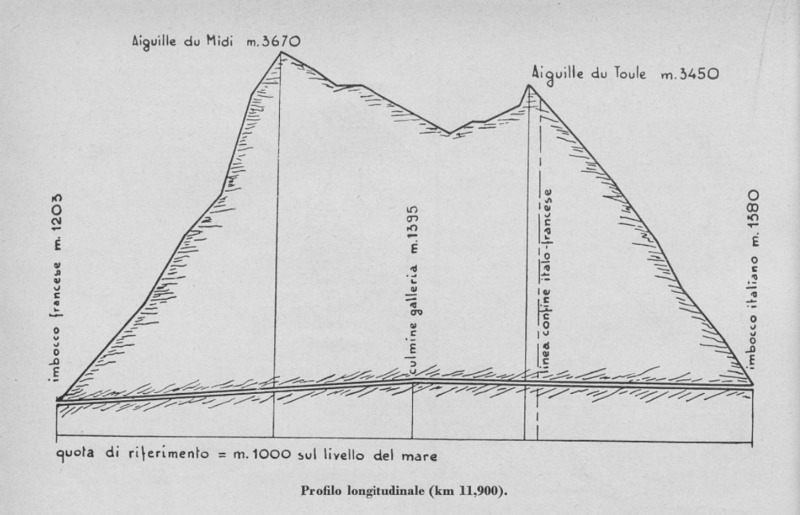 It was only during the final year that the geological conditions began to be more stable on the Italian side. The workers then succeeded advancing at a record pace: in seven months they advanced 2,059 meters. The month record was broken in February when the Italian workers advanced 256 meters. 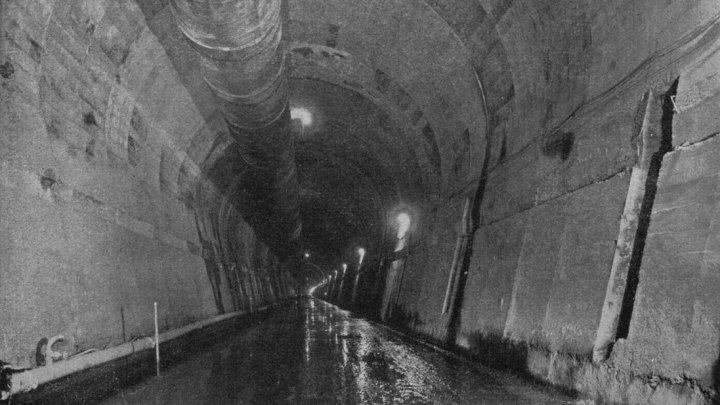 The completed tunnel between Chamonix in France and Entrèves in Italy was the world's longest at the time. When completed it was 11,600 meters long and seven meters wide, and reduced the distance between Paris and Rome by 150 kilometers.